Below you can view all the townhouses for sale in the Creekside At Vinings subdivision located in Smyrna Georgia. 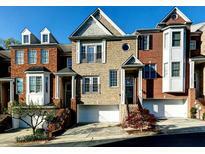 Listings in Creekside At Vinings are updated daily from data we receive from the Atlanta multiple listing service. To learn more about any of these townhouses or to receive custom notifications when a new property is listed for sale in Creekside At Vinings, give us a call at 404-998-4102. This Home Just Needs A New Owner To Call It Home! Come See It! MLS#6537414. Redfin Corporation. Finished Terrace Level Offers A Media Room, Bar, And Perfect Guest Quarters With A Finished Bed & Bath! 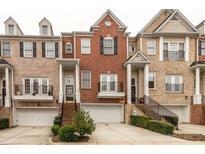 MLS#6527803. Keller Williams Realty Cityside. This Is More Than A Home. It Is A Lifestyle. MLS#6518516. Berkshire Hathaway Homeservices Georgia Properties. Dont Miss Out Make An Appt! MLS#6507731. Coldwell Banker Residential Brokerage.